Yep, I know it is Monday, but I wanted to get this posted yesterday, but it didn't happen. 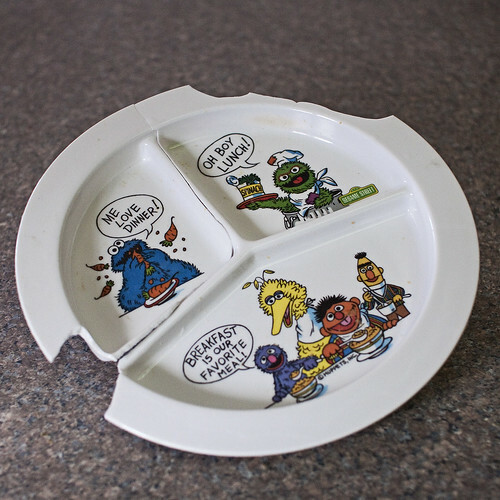 Oh the memories... this plate is from my childhood. It was at my grandparents house and I remember eating off it every time I visited. I'm pretty sure my brothers didn't get a chance to use it and if they did, it was against my will. It was sent home with me during a visit after I had Will. It lived a very useful life in this house until Wyatt threw it off his highchair. Jason got Will and Wes a skateboard this weekend. I am relieved that the boys are still in one piece. 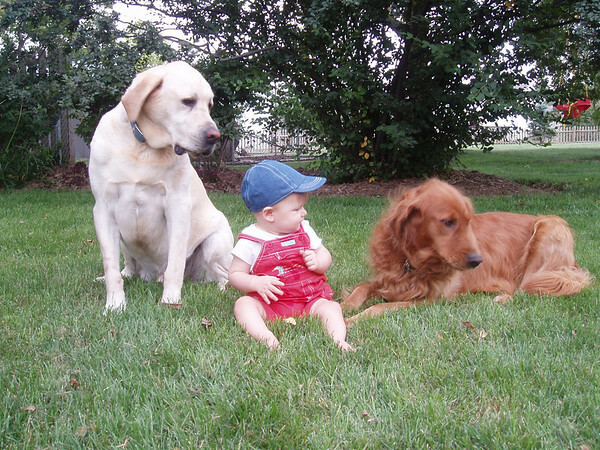 We had to say good bye to our big yellow dog. Norton was 11. He was our fist baby. Jason got him the year he graduated collage. He was a little ball of yellow fluff with huge feet. We loved him. The boys loved him. I'm not sure how much Norton loved the boys, but he tolerated them well! This is an old picture. That is Will.